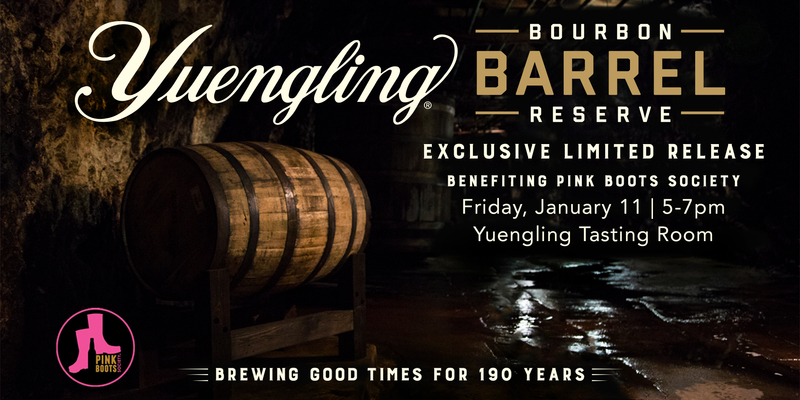 We’re kicking off our 190th Anniversary with Yuengling Bourbon Barrel Reserve – the second limited release from our Small Batch Series. This Marzan-style brew was aged in authentic American bourbon barrels in our historic hand-dug caves. This special, very limited quantity batch will be available only on draft in our Tasting Room. Join us in celebration of our first exclusive release from our Small Batch Series! Half of all proceeds will be be donated to Pink Boots Society, a non-profit organization that inspires and encourages women beer industry professionals to advance their careers through education.